Repetition & geometry are the foundation of my work. 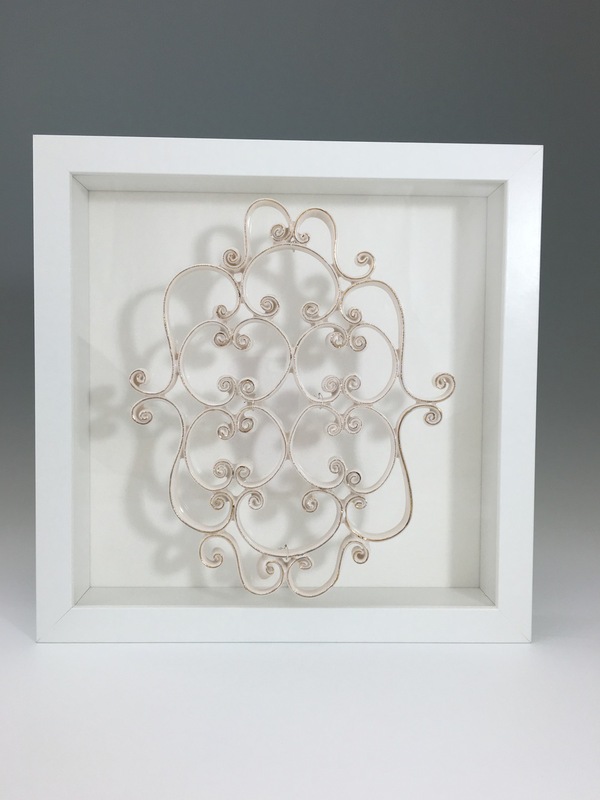 Recently inspired by my young daughter’s curly hair and her interests in princesses, music, ballet, stacking blocks, craft projects and fascination with nature, these pieces are intimate in scale. I continue to explore natural and architectural references with interpretations of tiles, windows and bricks. 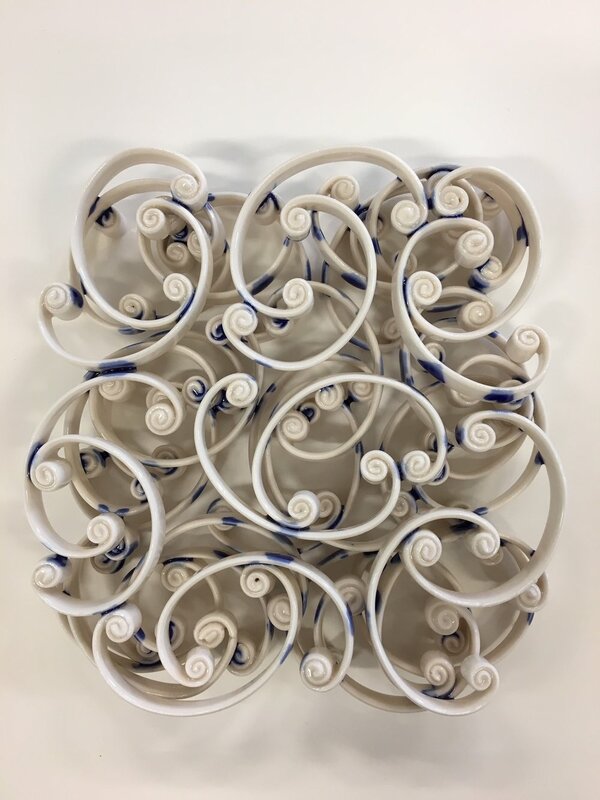 Instead of drawing or putting designs on the surface of a form, I choose to dimensionalize them and build with them. 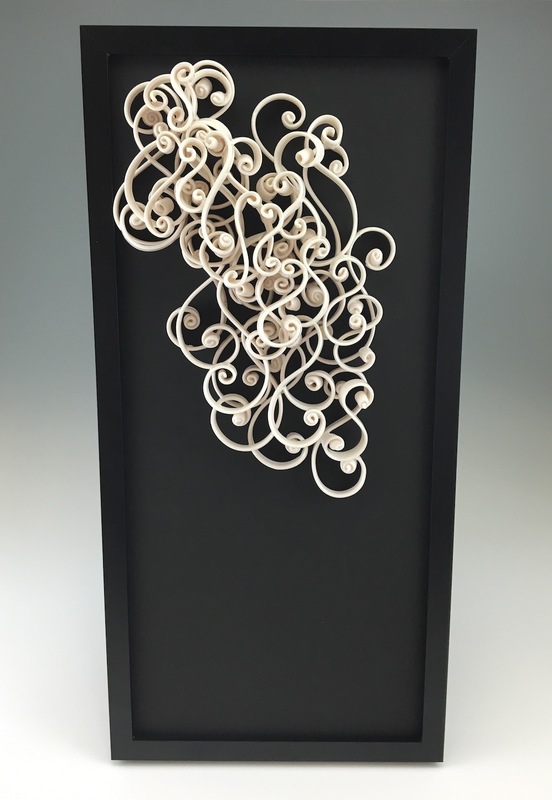 As I intentionally repeat forms, each piece is individually hand-shaped creating a tension between what you might expect and what you actually see. 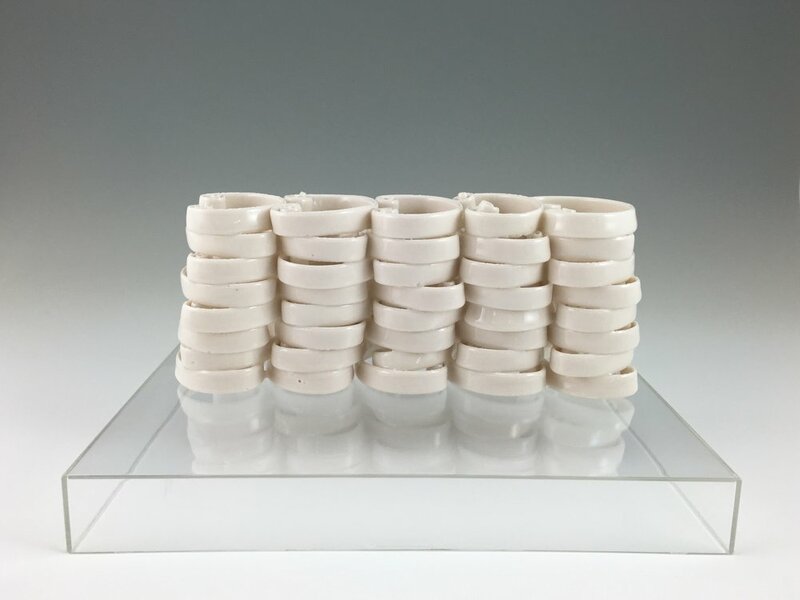 The arrangements of forms soften yet ultimately gain strength by the end of the ceramic process. Deliberate display decisions allow for refreshing structures and images that quietly call upon memories and daydreams.